It probably all began when brands noticed their celebrity endorsements falling on deaf ears and audience instead relying on reviews and blogs. A SRK probing consumers to use a product v/s a mango man sharing his experience; odds for the latter kept on getting better and better. According to data available off the internet, 78 percent respondents in a research in 2014 said that “friends’ recommendation” is most effective at influencing them to make a purchase. 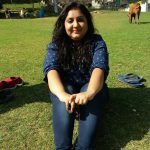 On the contrary television commercials reached out to 12 per cent audience and celebrity endorsements to three per cent. Additionally, RoI on influencer marketing too has proved to be higher for brands. Data by Social Times suggests that brands make $6.50 for every $1 spent on influencer marketing. Influencer marketing is no longer a buzz word; in the last couple of years it has evolved into a must have for a brand’ digital mix. With brands recognising the value of personal opinions and more humane approach offered by influencers, the latter was approached for product trials and service trials, which they would then rate. Brands basically started following the ago old offline marketing technique. Tapping an influencer was basically like tapping the head of community; have them use a product and then get them to speak about it to their followers. For the launch of its new range of burgers – Grilled Chicken Royale and McPaneer Royale, McDonald’s invited food bloggers to try out the new menu, interact with the chef and write about their experience. The food chain managed to earn some good reviews for its veggie offering, which worked out pretty well for the brand. Influencer outreach synced well with the push – pull marketing axiom. More the brands pushed with advertising, more the consumers pulled. Influencer marketing on the contrary created consumer empowerment, authenticity in communication and banked on the dynamics of buzz marketing. With the changing social scenario, influencers too started adapting. Influencer marketing shaped up into a more innovative stream. Influencers climbed a more defined mantle, which had them communicate with their followers through native content for brands. For instance, Lenovo roped in four Twitter influencers for its YoGa2bFree campaign, wherein all the four influencers were trapped inside a box and then had to use the gadget to free themselves from the situation. The content had their followers not only understanding the gadget’s specs, but also glued to a certain kind of content, created by their favourite Twitteratis. In the digital ecosystem, influencers have evolved as celebrity of sorts. With an unambiguous reach and engagement score, they definitely deserve the higher pedestal. While influencer outreach forms an integral portion of the new age digital mix, do not fall in a trap by mindless blogging with the influencers. Take the innovation route for definite results. Get the influencers to create original content through various activities – it could be video, audio or text content. Go beyond basic brand feature on their social channels. If your brand page has higher reach, get the influencers to right for your blogs – it creates integrated reach. With the trend of the current tide, influencer marketing is expected to only go North. Influencer marketing is no longer the future, it is present and if you haven’t leveraged it yet, you’re missing out the trend as we speak. 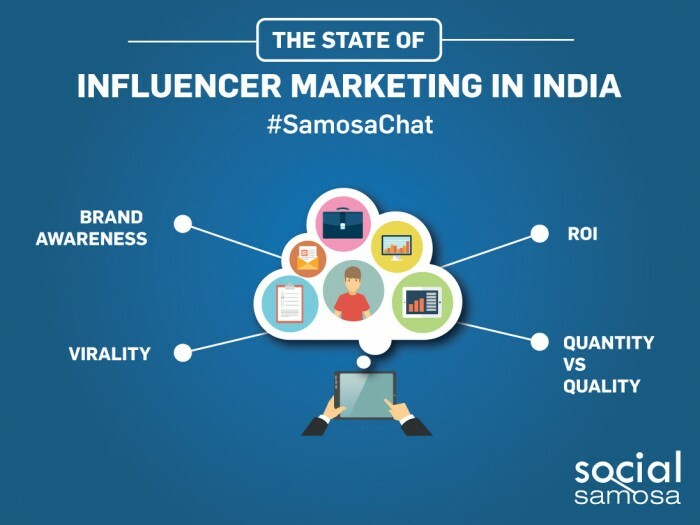 To understand influencer marketing at length, participate in #SamosaChat on ‘State of Influencer Marketing in India’ on Wednesday, November 18.